Mohammad Haydar Zammar, a Syrian-born German national, was captured more than a month ago by the SDF (Syrian Democratic Forces). 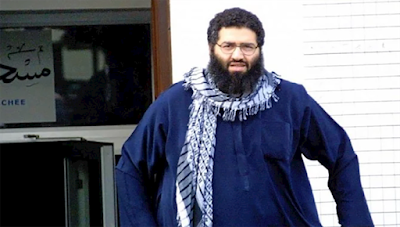 Washington, Reuters, April 20, 2018 - A man linked to September 11, 2001, attacks on the United States, who was said to have praised “violent jihad,” was captured in Syria by US-backed forces more than a month ago, the Pentagon said on Thursday. “We can confirm that Mohammad Haydar Zammar, a Syrian-born German national, was captured more than a month ago by SDF (Syrian Democratic Forces) partners as part of their ongoing operations to defeat ISIS inside Syria,” Pentagon spokesman Eric Pahon said. It said Zammar reportedly had taken credit for influencing Ramzi Binalshibh, who is accused of wiring money to September 11 hijackers and passing information to Al-Qaeda operatives, and Mohammed Atta, who led the attack on the World Trade Center in New York City. US officials have said that there are hundreds of foreign fighters and thousands of Syrian militants who belong to Daesh in SDF custody.